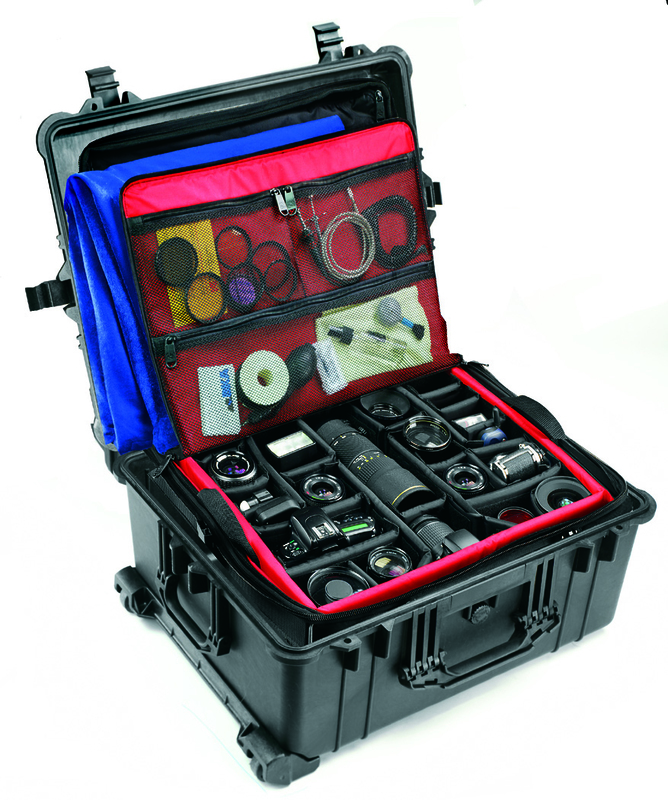 Peli, the manufacturer of the Peli Protector Case has now produced a complimentary range of soft bags for storing all manner of gadgets and their accessories. These gadget bags are focussed on digital photography and a tripod bag is included in the range in addition to larger options that will carry a laptop. Designed to store and protect DSLRâ€™s, lenses and accessories, they all feature expandable outer side pockets, interior and exterior mesh pockets. The comfortable carry handle with padded strap makes transporting your equipment much easier. The wheeled soft-sided cases are built with inline skate wheels and retractable locking handles which make them roll with ease. A versatile range of rolling and backpack cases capable of storing and protecting your DSLRâ€™s, lenses, flashes and many more accessories. They feature two outer gusseted pockets for extra accessories and include multiple, folding padded dividers that allow you to customise your own setup. These new lines of cases have been designed with the busy digital professional in mind. They are reliable, strong and versatile. They come complete with moveable dividers and feature a padded computer pocket to carry a full size laptop. They all come with a nylon storm cover and are fully airline compatible. Made from 840D PVC coated nylon and feature side pockets for handles, cable releases and other accessories. The interior of the cases are lined with PVC 420D nylon for durability and padded with high-density foam for additional protection.